Home / FILM POSTERS / Pinoy Jeepney Featured in Official "Sherlock Gnomes" Poster! 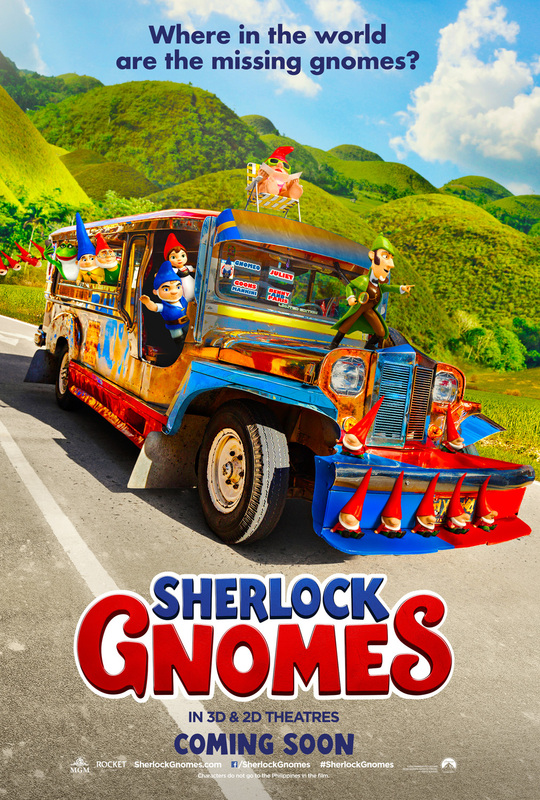 Pinoy Jeepney Featured in Official "Sherlock Gnomes" Poster! MANILA, March 15, 2018 – Where in the world are the missing gnomes? Well, based on the newly released poster of Sherlock Gnomes, they're in the Philippines, traveling aboard the iconic Jeepney somewhere in Bohol. Check out the Philippine-themed one-sheet art and watch Sherlock Gnomes in cinemas March 21.